I woke up to a nice surprise this morning. I have been awarded the Liebster Blog Award from the gals at 3 Teacher Chicks. Thanks so much ladies! The Liebster Award is awarded to blogs with less than 200 followers. The award is passed along from blogger to blogger and highlights up and coming blogs. Liebe is the word for love in Germany, which is where the award originated. 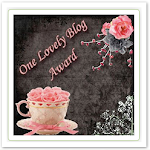 Thank your Liebster Blog Award presenter on your blog. Link back to the blogger who presented the award to you. Copy and paste the blog award on your blog. Present the Liebster Blog Award to blogs of 200 followers or less who you feel deserve to be noticed. Let them know they have been chosen by leaving a comment at their blog. Lots of fun freebies on this site. An 4th grade blogger just starting out. A first grade blog with many cute ideas. Yay! Congratulations!! Your blog is adorable. Love it! I am your newest follower and I love your blog. I am also a new blogger and would love for you to check out my blog and follow me too!